One account gives you access to multiple carriers – so you can get the best of every service. With the power of Shippit on your side, you will never have to worry about setting up complex shipping rules ever again. Tracking history that starts from the time an order is placed online up until it’s delivered. Consistent tracking events across all carriers and one-link tracking means nobody is kept in the dark ever again. Shippit gives your customers an award-winning experience no matter which carrier you ship with. 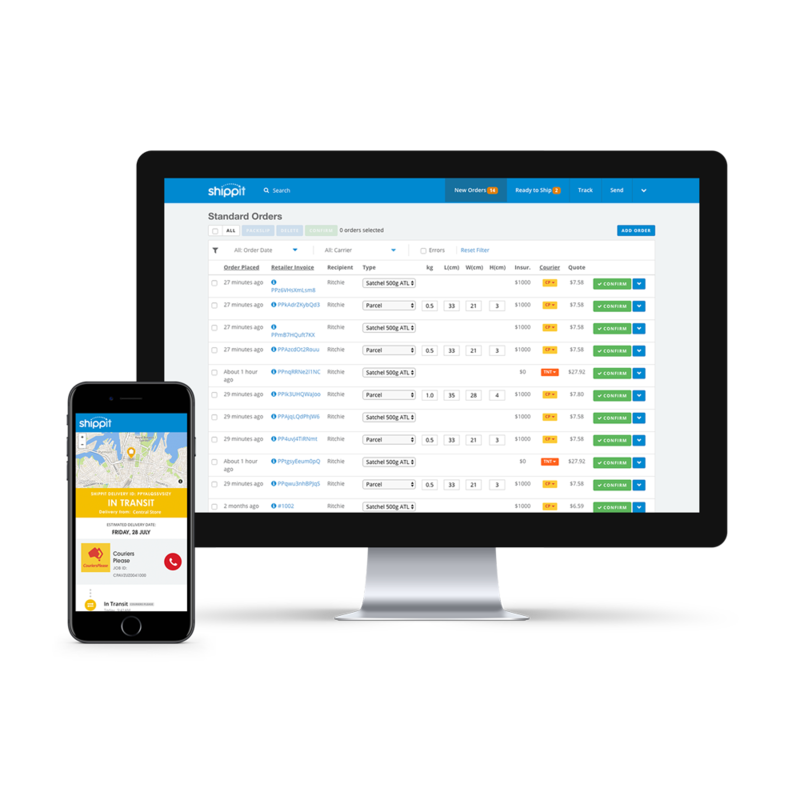 You can forget about consignment numbers and dodgy courier tracking sites, Shippit gives your customers just the right amount of information, every single time. Your brand or ours, its your choice. Unleash the power of cloud-based shipping in minutes. Multi-carrier, multi-warehouse, multi-store, multi-location, multi-user – no matter how complex your shipping operations are, Shippit was built to make it simple. Our cloud-based shipping platform is so simple to configure, you’ll be ready to ship joy to your customers in minutes not days, guaranteed. Start making ship happen, today.